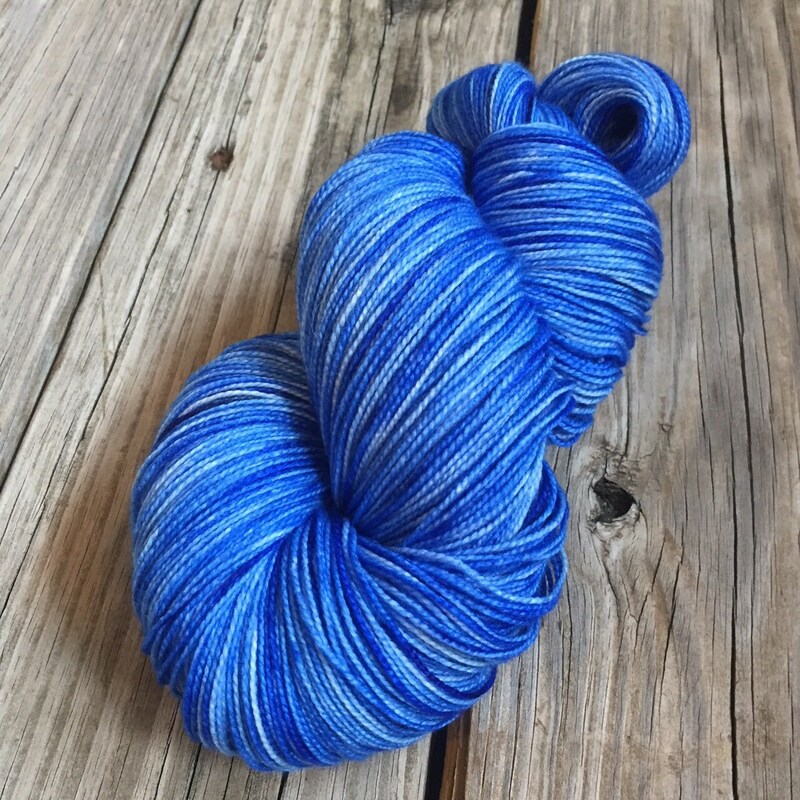 This yarn is a true luxury! BIG and super squooshy too. 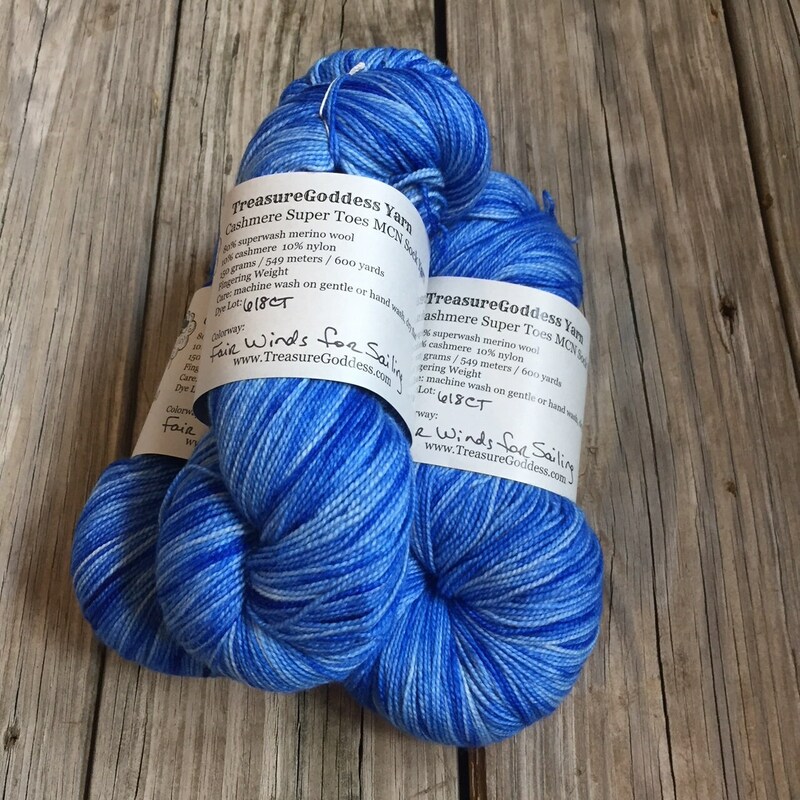 Skeins are long enough for a nice shawl or very long pair of knee socks! 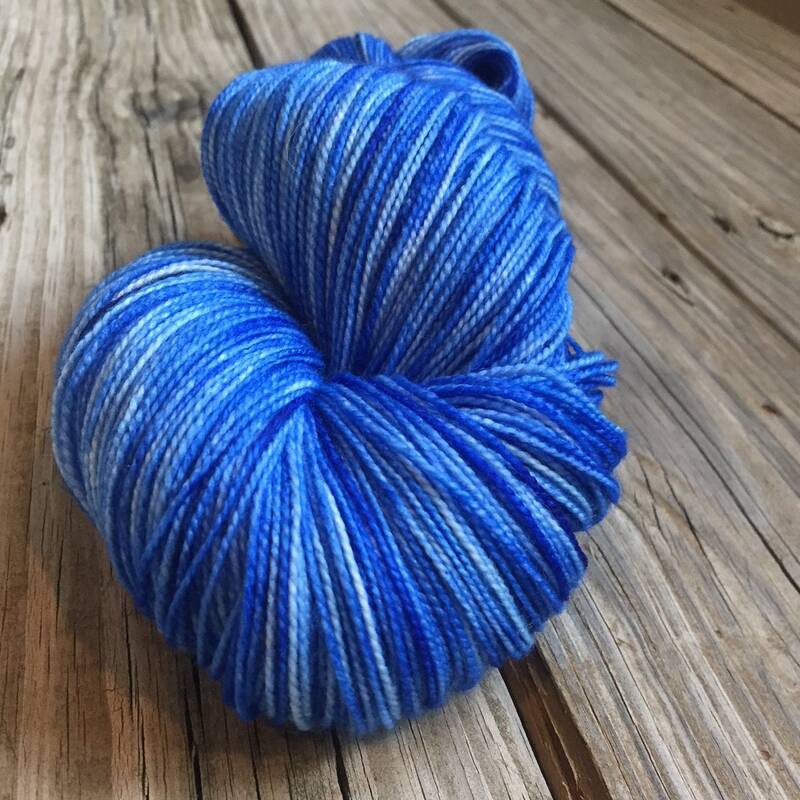 The cashmere in this yarn combined with the superwash merino, nylon fiber and tight twist give a blend of softness, strength and ooooooohhhhh it feels good to knit and to wear! 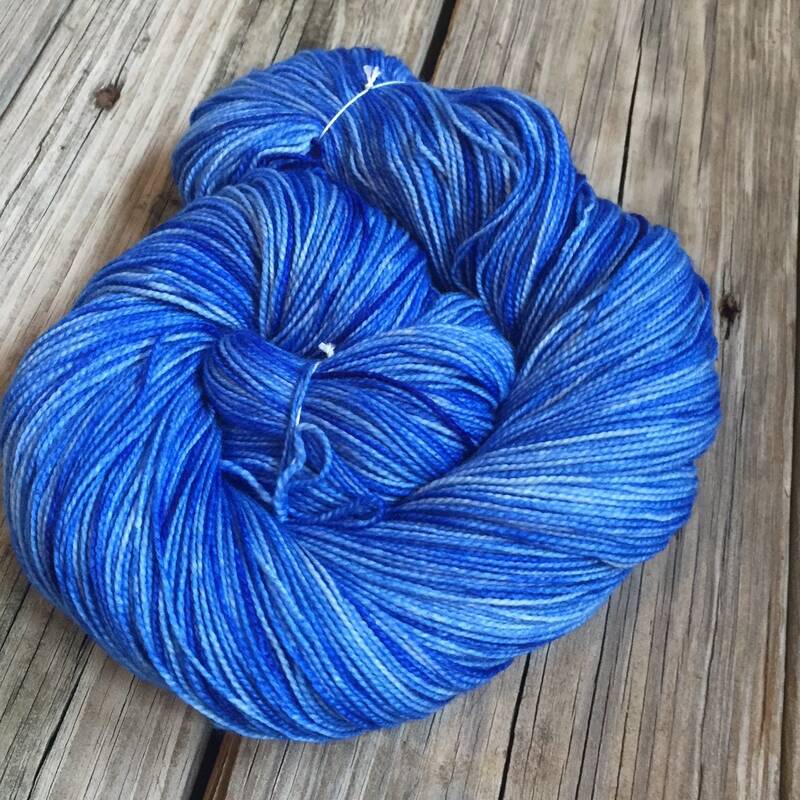 Treat yourself to this treasure! 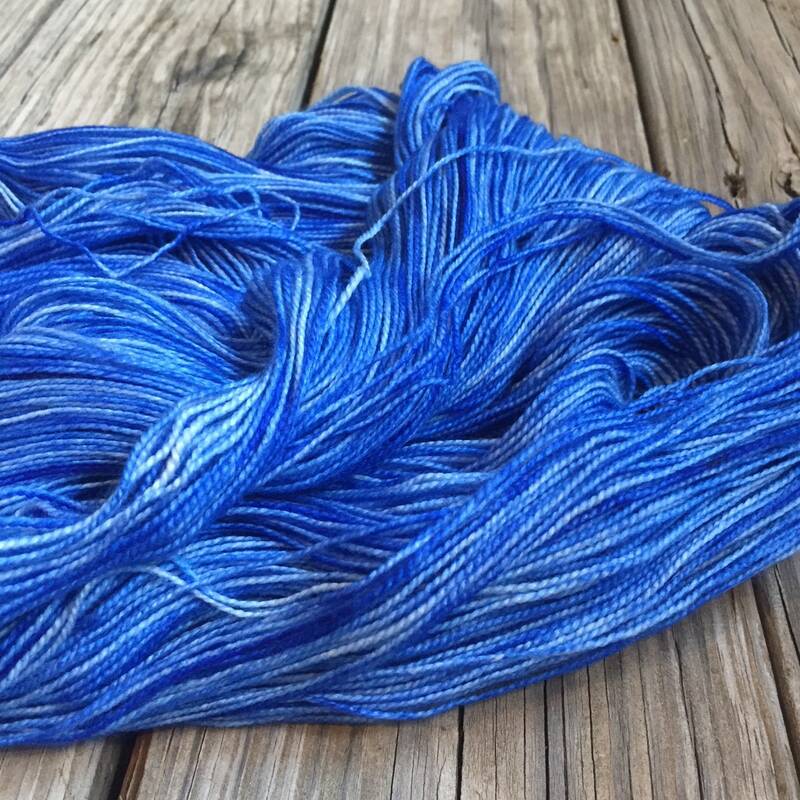 This yarn was hand dyed by me with professional dyes in shades of pale to rich sky blues to royal blues. The perfect sky for a day of sailing the seven seas! Beware ye don't end up swimmin' with the fishes! 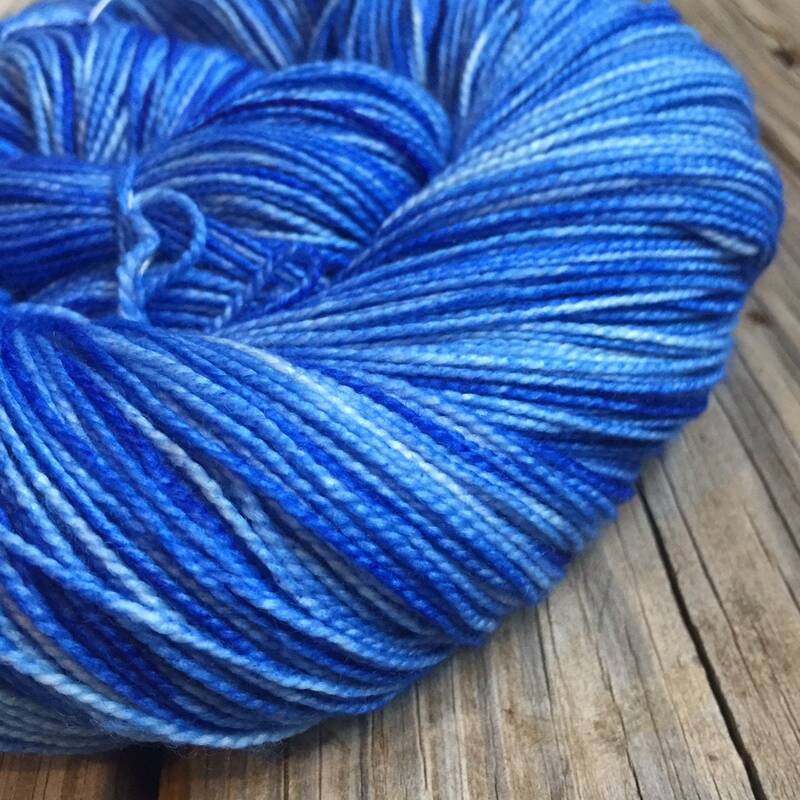 This has real depth of color when knit or crocheted up!